Home 2018 March 13 Blog Shut Up and UNIFY! Unity naturally flows from homogeneity, and it doesn’t need a vast propaganda campaign to enforce it. If people look, think and act the same, if they share similar genes and similar consciousness, they will have unity. They will naturally agree on the important things. If the people don’t have similar genes, they will not have unity, and no amount of force or propaganda can change that fact. Tucker Carlson, however, thinks unity can somehow be imposed. “That doesn’t mean we have to look alike. It doesn’t mean we have to come from the same places. It does mean we have to share common beliefs.” This is exactly what every wordist and every religious fanatic says. We all have to have the right BELIEFS. A belief is something you are REQUIRED to regard as true. But what if it isn’t true? A belief is an opinion you can’t prove. If something is true and you can prove it, you don’t need to believe it. Though they may differ slightly on the beliefs, Tucker Carlson is in complete agreement with adherents to Political Correctness and their anti-white terrorist enforcers (commonly called “antifa”) that we are required to believe SOMETHING. Contrast that with trust and respect which are EARNED. By the way, do I get any say in what these beliefs are or are they handed down from on high like a Supreme Court decision? Wordists laughably claim that nationalists (those loyal to their own kind) have a monopoly on divisiveness. But wordists divide everyone into two camps: 1) those who believe their Universal Truth, and 2) heretics. Under nationalism, you are not required to believe any particular thing. A nationalist can say I am loyal to my own kind not because I think they are better but because they are MY OWN KIND. But a wordist HAS to think his Universal Truth is superior to every other Universal Truth else why do I choose to be loyal to this particular Universal Truth? A wordist also has to be an imperialist. If this Universal Truth is good for me, and we’re all the same, it must be good for everybody, right? No one is more intolerant and divisive than a wordist. House Majority Leader Kevin McCarthy @3:58: “We did not survive, grow and become the most powerful civilization in human history because we are focused on our diversity.” That’s because there was no diversity to speak of. America was created by a bunch of white nationalists for “ourselves and our posterity.” In 1965, America was 90% white. No one needed to implore and browbeat people to be “unified” because we were largely homogeneous. 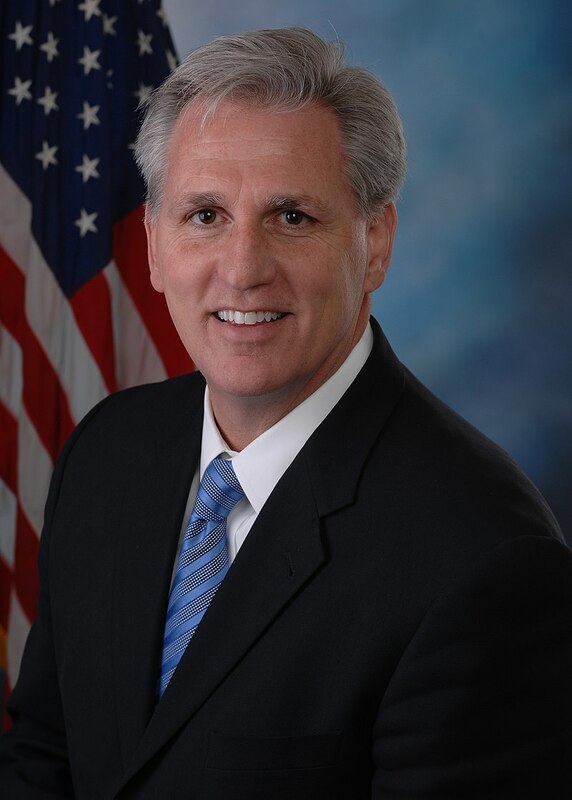 Rep. McCarthy is saying we are focusing on diversity now for no good reason whatsoever. The fact that we have been flooded with tens of millions of non-whites has nothing to do with it. How could someone so stupid be house majority leader? Obviously, the reason we are seeing more racial politics today is because we have been forced to become more multiracial. You anti-whites created this division. Us pro-whites are just responding to it. ALL politics in any multiracial country is racial politics. The more multiracial you get, the more racial politics you get. This is not a choice; this is an inevitability. McCarthy @4:09: “It is not our differences that makes us stronger. It is our unity despite our diversity.” He’s admitting that diversity makes unity more difficult, else why would you have to call for unity? If you have homogeneity you don’t need a mass brainwashing campaign and tyrannical speech controls to try to artificially create unity where there is none. If people are unified you don’t have to demand unity. It’s a lot like equality. Only people who think they’re inferior demand equality. Only people who know they’re being divisive demand unity. If people are equal you don’t have to force them to be equal. And if they’re not equal, no amount of force will make them equal. If people are united you don’t have to force them to be united. And if people are divided, force won’t make them united. If you share common genes, you are not required to share common beliefs. In time of war or national crisis, people are called on to temporarily set aside their differences and solve the problem at hand. Tucker Carlson, in saying we must UNIFY, is saying we must remain on a permanent war footing until everyone is unified, that is, they believe whatever religion he wants to impose on everyone. 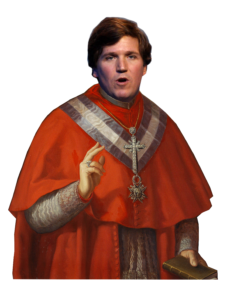 America was founded on freedom of religion and now Tucker Carlson, like a Grand Inquisitor, says to be an American one must believe, that is, follow HIS religion. Anti-whites are already demanding speech control to protect the system of anti-whitism they have forced down our throats. They engage in blatant political censorship on social media platforms. Now they are demanding we stifle differences of opinion. This is another casualty of multi-racialism and its why we say diversity and freedom are incompatible. In a healthy homogeneous society there will be all sorts of disagreements which can be discussed and debated rationally. But on the important things, there will be broad agreement because with similar genes you will have similar thought patterns. Anti-whites demand we suppress any disagreements that threaten the anti-white system. But the divisive things are the important things. Suppressing them won’t make them go away. If you were really interested in unity, the first thing you would do is reduce division by reducing multi-racialism. Unity would automatically increase without force, repression, browbeating, guilt-tripping or speech restrictions. White people are starting to notice that non-whites are allowed to promote their racial interests but whites are not. This doesn’t seem fair to whites, and the last thing you want to do is let whites think something is unfair because white people are all about fairness. Then they tune into one of the last places they can go to be free of anti-white guilt-tripping and they watch millionaire football players complain about non-existent oppression. 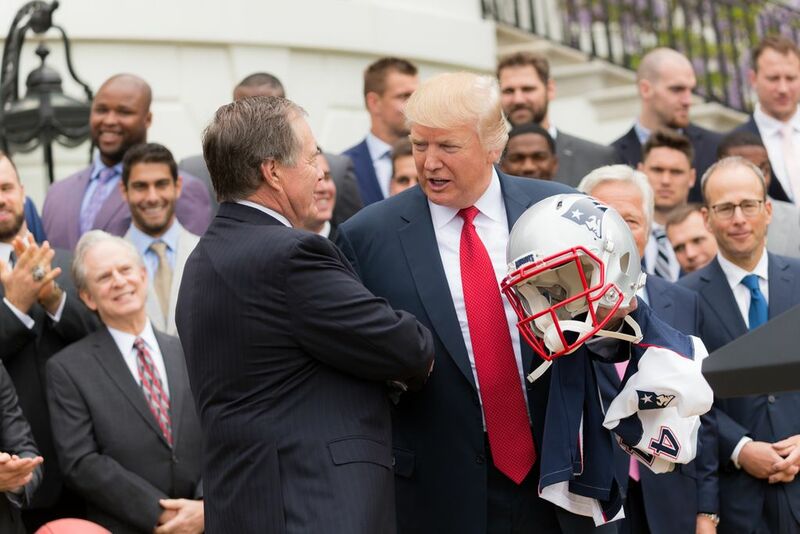 President Trump, consciously or not, could sense that this double standard wasn’t going to work any longer, so he began to browbeat the non-whites like whites have been browbeat for decades to forget about their skin color and unify around the proposition nation. This was the first serious attempt to get non-whites to forget their racial interests and get with the civic nationalists we all bleed red program. And so far it has failed miserably. It’s just way too little way too late. The oppression narrative is too firmly entrenched in the minds of non-whites. Its way to easy to blame someone else for your shortcomings. The double standard will continue and more and more whites will jump off the sinking civic nationalist ship. This call for unity is just another scheme to get whites to accept their own genocide. We have to unify for White survival Tucker however unpalatable that may be to some. Before we have “unity”, we must have a unified plan of action. Ward, I am writing this in August a long time after you wrote it, but what you say is absolutely correct, there needs to be a plan. The best plan is to work for a white ethnostate, and the best exponent of that was the now deceased Harold Covington. The Butler Plan or the NNortwest Imperative was to plan for an ethnostate in the Pacific Nortwest. Good article, but I find it ironic that Carlson is getting slammed here for saying the same thing that Trump himself has said. Mr. God Emperor even seemed to be making a thinly veiled threat of possibly orchestrating another Pearl Harbor/911 type event to create unity through inducing a trauma based mental state in the masses. I think you’ve backed the wrong horse…. Ok so , a belief is ONLY an unproven, true or false THEORY .THAT , is the proven TRUE theory of the definition of the word belief. So , the Theory that states it is better if people unify, is not proven true because theories can be proven true and false which might be not better for people.